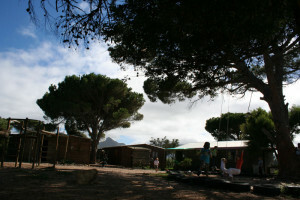 Imhoff Waldorf School was started in 1996 by a group of parents who believed in alternate education with roots in conservation of the environment. Waldorf education was the nearest form of curriculum embracing these ideas. 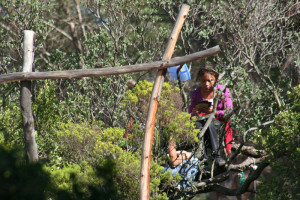 The school is situated on an old and mostly undeveloped farm called Imhoff Farm. The school grounds are untamed, resulting in a natural and appealing sense of freedom. There are goats, camels and peacocks on the farm and there are rabbits, porcupines (we see mostly tracks and quills), baboons, scorpions, insects and the occasional snake! Today, in 2018, both the Imhoff Farm and our Waldorf School have managed to maintain their natural and rural feel. We hope in future developments that this natural spirit be preserved as it has become such an important part of the Imhoff Waldorf School. The farm’s grounds are shared with a few other tenants, which include a Farm Stall and Craft centre, riding stables, cheese makers, the camel herders and three restaurants.